Kimpton Energy Solutions has been providing the design, supply and installation of mechanical and electrical services to the increasing number of purpose built student accommodation buildings that have been constructed in recent years to house the growing number of full-time students looking for new, quality yet affordable accommodation close to university campuses. Primarily Kimpton has been working with the main construction contractor to deliver a range of high performance mechanical, electrical heating and ventilation services designed to provide high levels of performance and comfort with low ongoing running and maintenance costs. 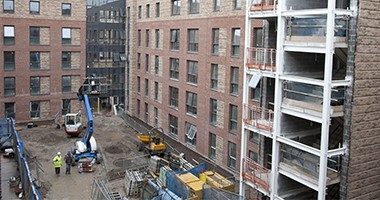 The mechanical services for student accommodation often include combined heat and power (CHP) and/or a central boiler plant to provide the Low Pressure Hot Water (LPHW) to radiator circuits piped throughout the building. Combined heat and power (CHP) is an efficient and clean approach to generating electric power and useful thermal energy from a single fuel source. CHP is used either to replace or supplement conventional separate heat and power (SHP). Instead of purchasing electricity from the local utility and burning fuel in an on-site furnace or boiler to produce thermal energy, an industrial or commercial facility can use CHP to provide both energy services in one energy-efficient step. 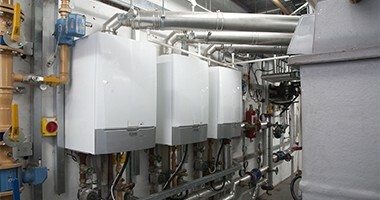 Domestic Hot Water is generally provided by way of gas fired water heaters located within a cluster and typically serving up to 6 bedrooms and a kitchen area. Ventilation is also provided to the bedroom/shower rooms via a NuAire extract system typically serving a cluster of 6 bedrooms and the kitchen area. Kimpton also provide the full range of electrical services including all power and lighting services, fire alarm, access control and CCTV. In certain instances the heating to the room is provided by way of electric panel heaters in lieu of a wet heating system. Our Managing Director, Richard Kimpton, recently wrote a piece on LinkedIn about how we are seeing more work coming now from refurbishment with the Student Accommodation market. 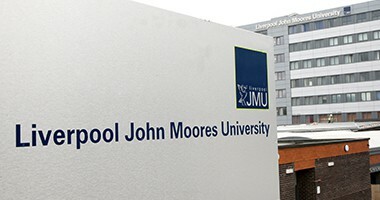 The summary of this concluded that for the future of student accommodation to remain sustainable as a business offering, energy costs would have to be reduced. This meant that as well as room refurbishment to keep the properties looking fresh, it was a good business decision to keep the plant room fresh too, as this delivers ongoing savings in lower energy consumption. 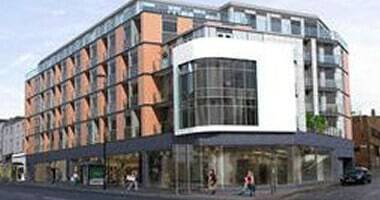 Kimpton Energy Solutions has completed many high profile student accommodation projects in recent years. In total we have completed over 6,300 beds across 19 different schemes. Listed below is a summary of a number of recently completed projects, working closely with lead companies. As well as our completed portfolio, we are also on site with two current builds with details as follows. 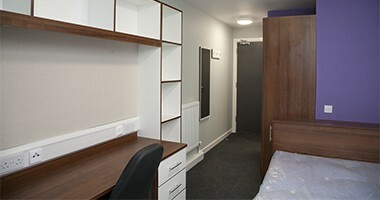 Kimpton Energy Solutions were employed by Ocon Construction to provide the complete design and installation of the mechanical and electrical services to this high specification student accommodation development. 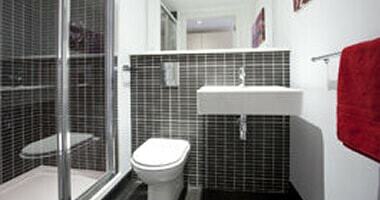 The 5 floors provide 100 apartments with en-suite bath room and kitchen facilities. A central boiler plant situated in the basement provides compensated heating to the radiators located in the apartments and domestic hot water via a calorifier. 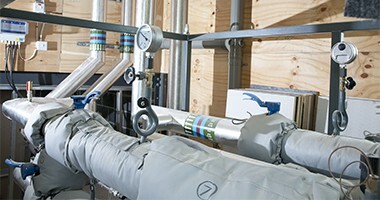 Natural Ventilation is provided by utilising risers within the building fabric as ventilation shafts. 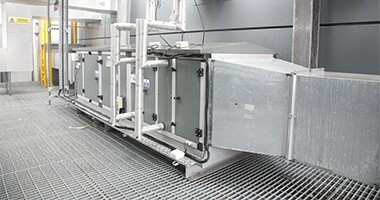 Each shaft is topped with a wind driven turbine ventilator which extracts the air from the bathrooms and cooker hoods.